Offering guided nature discovery hikes, bike tours, a walking tour of historic Empire and private explorer tours. Call or email to arrange for a tour that fits your group and your schedule! GUIDED WILDFLOWER HIKES every weekend in May! sbd Tours offers two guided hikes each Sat./Sun., 10 am and 2pm in May to discover emerging wildflowers and more. 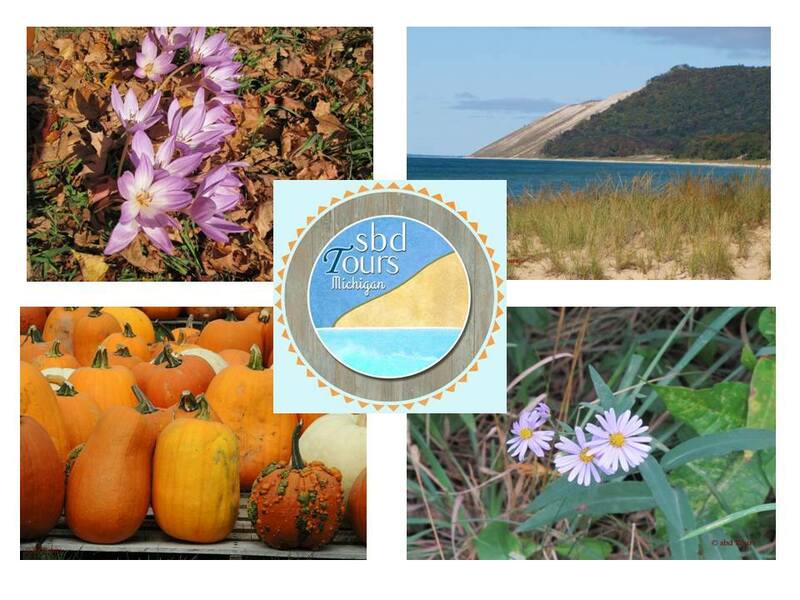 GUIDED HIKES are offered on the many trails of the Sleeping Bear Dunes National Lakeshore from May through October. Explore the different habitats, wildflowers and wildlife along the trail during a leisurely bike ride. Starting point is the Dune Climb trail head, all the way to Glen Haven and its historic buildings to the old Coast Guard Station and back to the Dune Climb. Another option is the Betsie Valley Trail from Beulah to Frankfort with beautiful scenery. The ride takes you along Crystal Lake, along some wetlands and open grassland and offers wildlife viewing, wildflowers and more. A cottage in Empire for up to six people for two nights and two tours! This offer is great for a girls-get-together, an occasion or retreat. Enjoy a guided nature hike, guided bike tour or walking tour of historic Empire and stay at a well appointed cottage. Empire is the gateway to Sleeping Bear Dunes National Lakeshore with lots to see and do! A Northern Escape is a quiet retreat in the village of Empire, surrounded by the Sleeping Bear Dunes National Lakeshore Park.